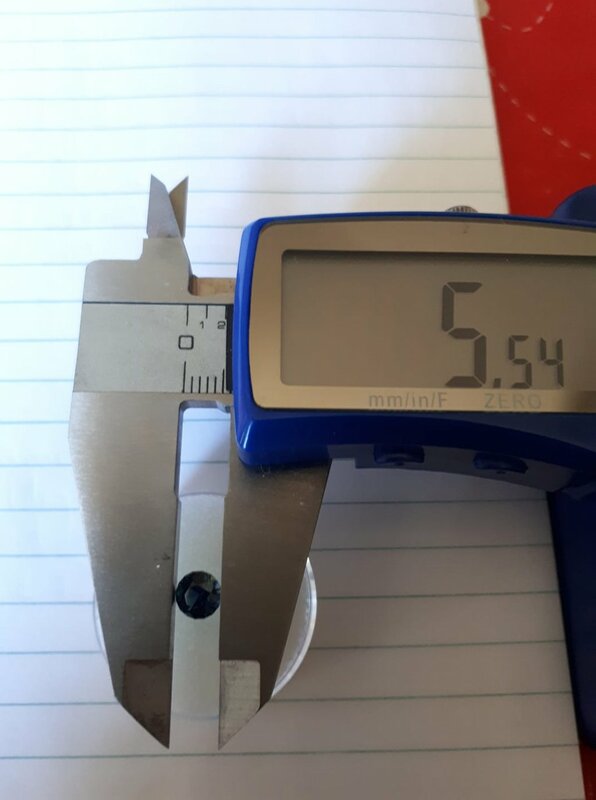 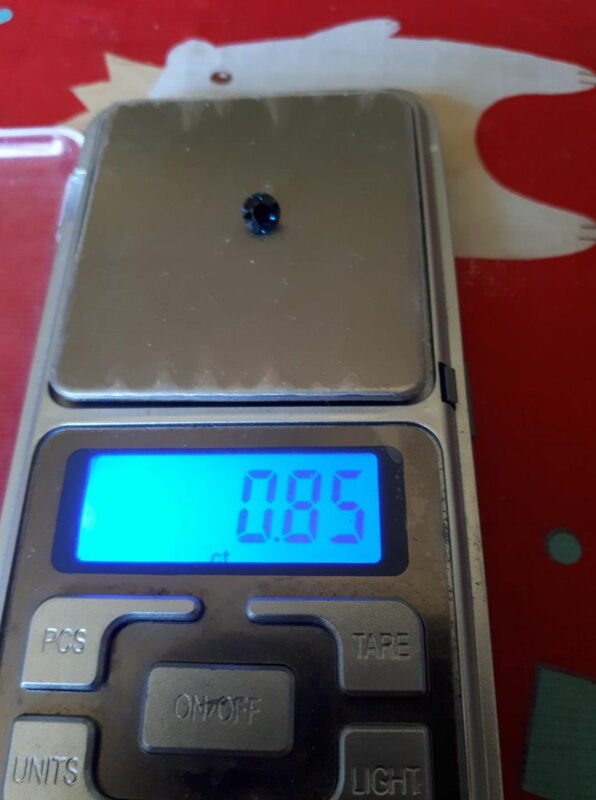 This is a really pretty little stone - weighing in a little under a carat (0.85ct) and measuring slightly over 5.5mm in diameter, I've cut this Rubyvale sapphire in the more classical-looking round brilliant design. 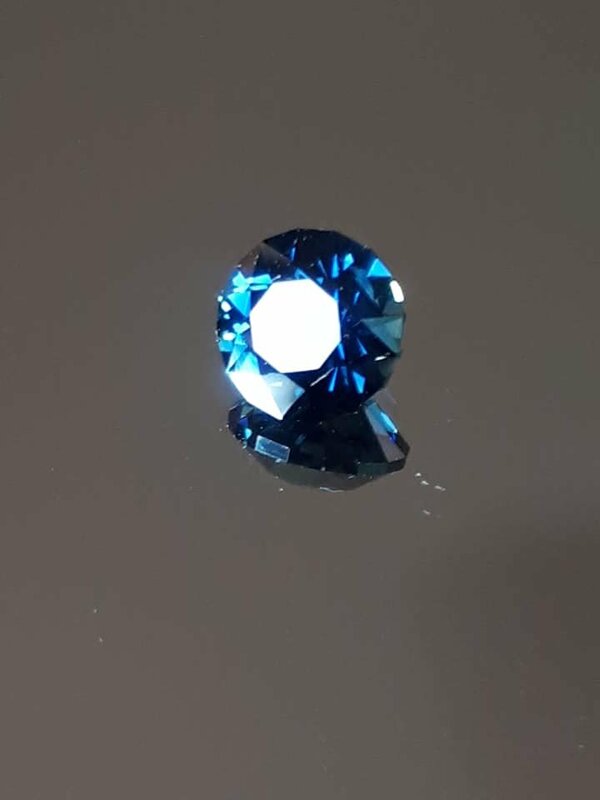 Face up, this stone is a pure bright mid blue in colour - no parti colours. 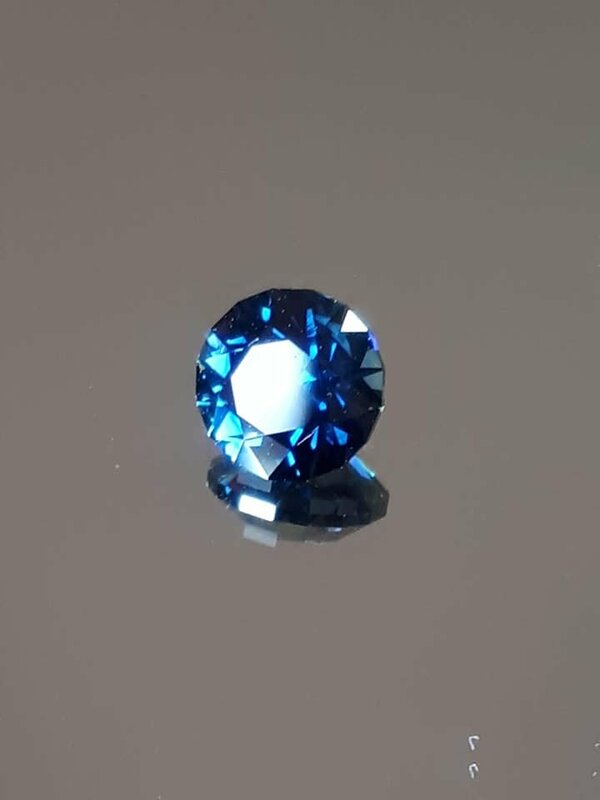 It is an ideal shade of blue with no darkness at all. 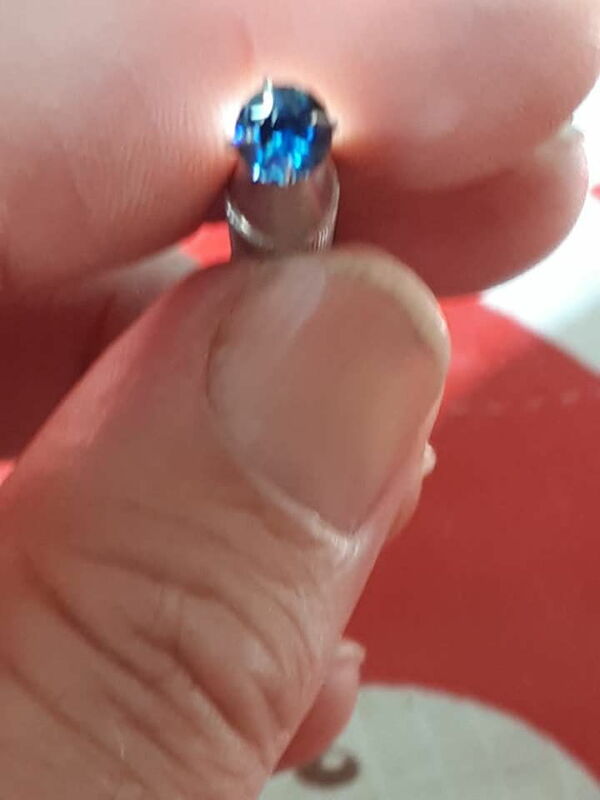 This is an absolutely perfect little stone for ring setting.